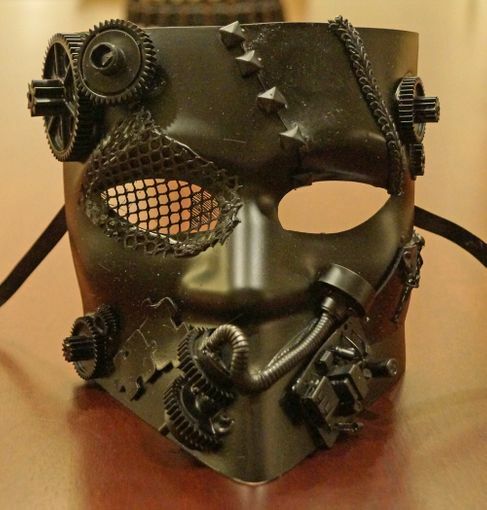 This Steam Punk mask is painted mat black and also has gears built into the mask. Mask is made of a durable molded resin. Secures with black ribbon ties. Mask size 6"W x 6"h.